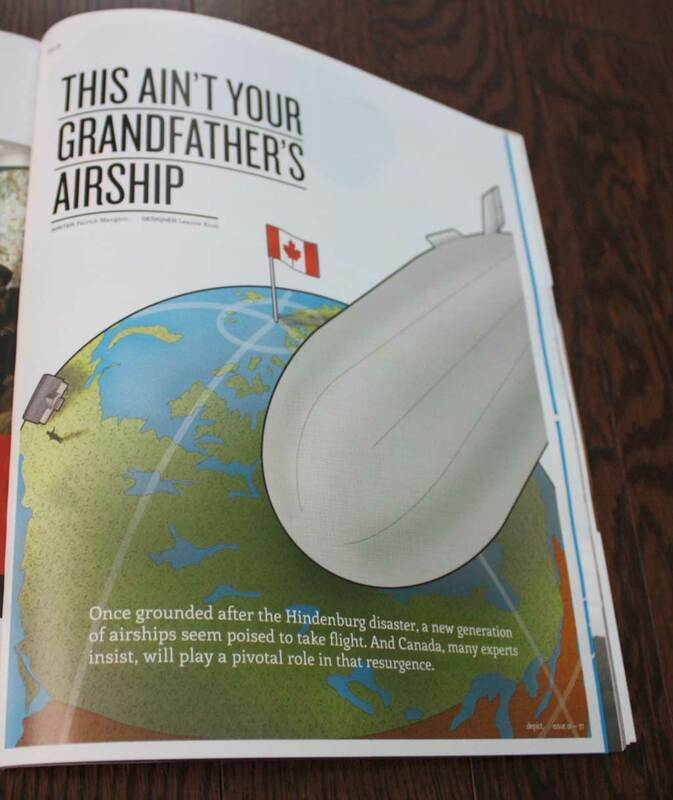 The featured article that I had the pleasure to visualize is “This Ain’t Your Grandfather’s Airship”. It challenges how airships could change the aviation scenery for the better in Canada. 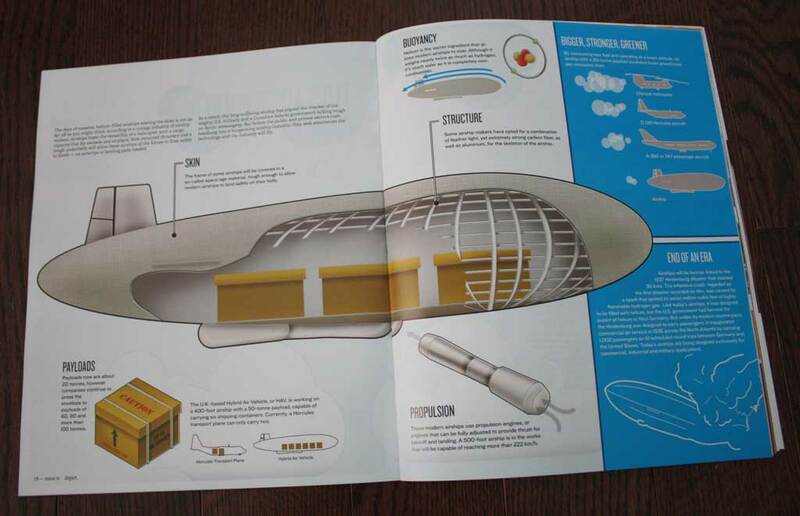 The story begins with an introduction into the featured specs behind the airship, where the cargo goes, what the frame of the airship is, etc. This is depicted through a cutaway view of the “skeleton” of the airship. You also learn how they are more environmentally friendly than other standard aircraft and get a chance to reflect on the history of the Hindenburg airship. Looking to the north, the story continues to show the advantages of using an airship, whether for distribution of goods to the north in a cost efficient manner, or for government and military purposes. 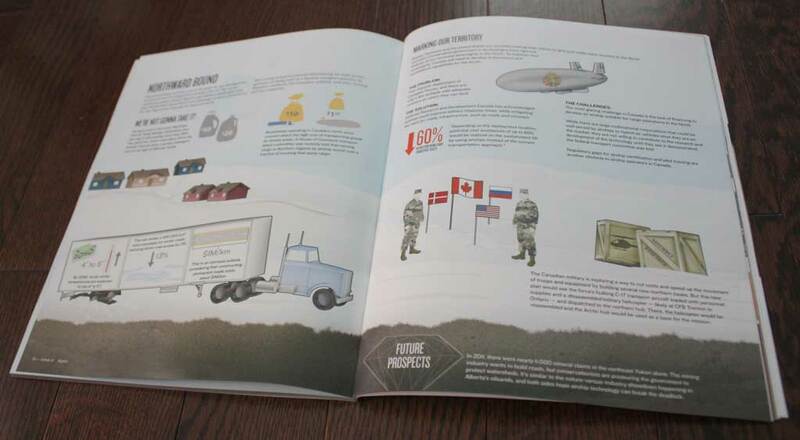 To read more about the advantages of airships in today’s day and age, get your copy of Depict Magazine at your local Chapters or Indigo today. An extra big THANK YOU goes out to John & Tad for showcasing me as a featured contributor in the magazine. It is always such an honor as an Illustrator to be asked to be featured in a magazine. I’m looking forward to our next project together!